When you say the words, “turbocharged all-wheel coupe,” I guarantee you most folks will assume you’re talking about an Audi. 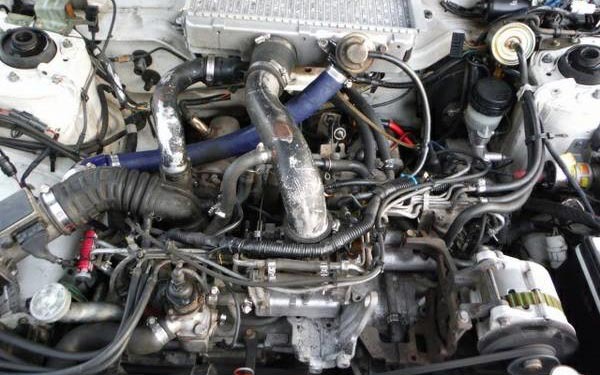 For the privilege of owning such a foul-weather beast, you’ll likely have to concede that the car features complexities and maintenance requirements befitting of its exotic drivetrain, not to mention the regular service commitments that come with 4WD systems. But what if I told you there was another way? A cheaper way, in only the purest Credit Card Classics tradition? 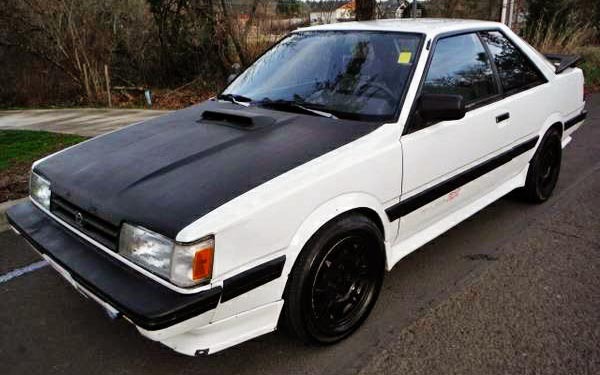 Enter the 1989 Subaru RX Turbo, available here on craigslist in Oregon for $3,295. Through the years, my taste for Japanese cars has flamed out. I’m more convinced than ever before manufacturers like Honda and Toyota have zero interest connecting with the enthusiast market, apart from the Scion FRS that never had enough power to win over the masses. The one manufacturer that occupies a warm place in my heart, however, is Subaru. My Legacy sedan was a monster in the snow and extremely durable. It was fun to drive, made some interesting noises and could swallow a ton of stuff thanks to the folding rear seats and frameless doors. It’s a car I miss immensely and wish I hadn’t sold. Although I wouldn’t buy a new Subaru today, I believe the brand does have some secret sauce that gives its cars a bit more personality than its appliance-like competitors. That’s why I love goofy cars like the RX Turbo, which was built in extremely limited quantities and I doubt many of which still exist, victims to either rust, blown turbos or both. 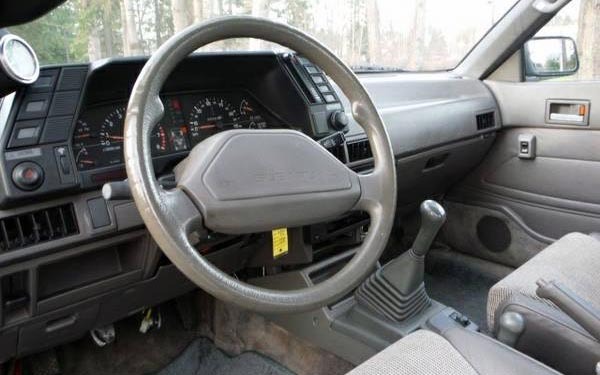 These cars were loaded with features that make every gearhead salivate: limited slip differential, locking center diff, two-speed transfer case, adjustable gear range set, four-wheel disc brakes, and of course, the EA82T turbocharged engine. Autoweek calls it the “OG WRX”, and it’s clear to see Subaru’s popular modern sedan wasn’t an original concept. This car retains the factory body kit, and apart from a few boy-racer mods, looks unmolested. I’d lose the extra gauges and aftermarket wheels, and of course, paint the hood to match. There are so few of these on the roads today that I’ll bet this is one of only a handful in existence that is still up for some sideways action in a snow-covered parking lot or rally-x stage. 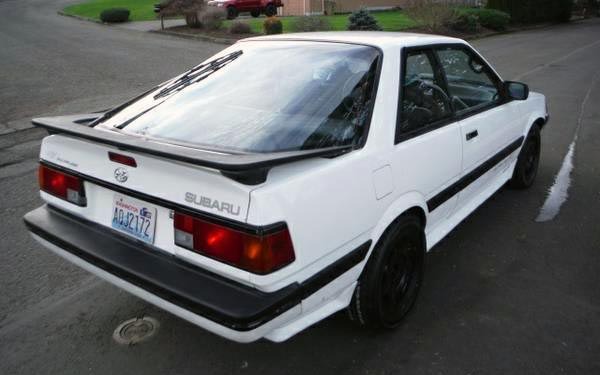 But if it were me, I’d just preserve and enjoy what few recognize as the original WRX. Would you take a gamble on this piece of 80s-turbocharged goodness? head gaskets are an issues with these and the wantabe racer stuff would turn me off. but a subaru is interesting, after checking for rust also. the xt coupes interest me, manual with a 6cyl would be fun. if you can live with a automatic, that is a weak link, or spend the money to convert to manual the svx is worth a look also. Jim, I would love an XT6 with a 5-speed. Definitely a car I’d like to own someday.